This means that all my wonderful flea market shopping stops for the winter. We don’t even have a great Goodwill. 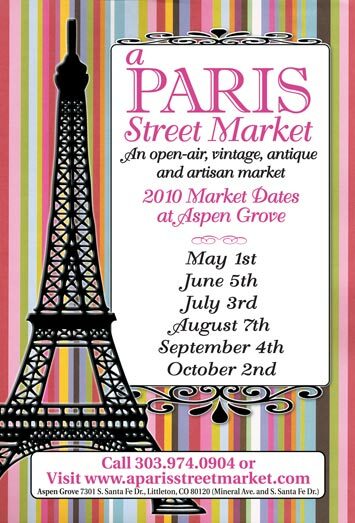 So….I have been EXTREMELY anxious for one of my favorite flea markets..A Paris Street Market… to start back up on May 1. I love waking up early, grabbing a coffee, eating the most wonderful breakfast burrito and shopping with my friends. I am also looking forward to participating in our local flea market this summer. This will be the first year and I think our community will love it! If you are in the area come and see me. I will let you guys know which months I will participate. It will be the second Saturday of each month through September. If you don’t have a great flea market in your area you can always check out places like Etsy for the most amazing vintage finds. Look at this great shop that has some truly unique and beautiful items. Their photography is also so fun too! Are you ready to go junkin now???? Oooooooh! Good stuff! Good stuff! I wanna go 🙁 I just bought a vintage fan today (just like that one you posted) for a photo shoot on Monday. I can’t wait to play with it. Sounds like so much fun! You must be so excited to participate. We don’t have any good flea markets here – it’s so sad! Hey, guess what! When you said that you didn’t even have a good GW, I instantly thought, “Man..even Butte, Montana has a good GW!” (I found some wonderful things whilst in Butte a few years ago) Then I saw that cool bag in your last picture! Ha! How funny. I’m happy that your flea market season is starting up, Jeanne! We do not have winter shopping here, and have to wait until spring for yard sales, etc. Sadly, there are no cool flea markets like you have. :)love love that etsy shop! That looks like fun! Wish I lived a lot closer! 🙂 Have a great weekend! Wish I were there, anywhere, somewhere, where there are more flea markets or antique shops. But then I would probably find myself on one of those TV shows like “Buried Alive: Hoarders” because I love just about everything and have space for really not much more ~ hehe. I’m a great Etsy shopper though. Love the vintage and handmade. I’m with you, JB!! I am so super pumped for the fleaing to commence around here. I’ve been dreaming all dreary Winter… How will I ever show any form of restraint once I’m there? Your too cute…being in Nebraska…I too count the days till flea markets and garage sales. Sounds like soooo much fun! We have a weekly auction right in our little town at the Auction barn and I have picked up quite a few goodies! Have a great day. I need to just hop down near you and go to the flea mrkt. with you. I have a negative ability to find interesting and beautiful things. Claire and I will be having breakfast at Panera Bread in Aspen Grove that morning if you’d like to join us! I’m counting down as well!!! I’d love to share a cupcake with you!!! I can’t wait for yard sale season to begin here in NY. Can’t wait! Your flea market sounds like it must be really good. Colorado is not too far away! Well maybe but it sure looks like fun! You are a lucky girl! That sounds wonderful. Speaking of Etsy…I’m on a mission to lose 11 more pounds and one of my incentives is to treat myself to one of your wonderful skirts! Will you be selling them again anytime soon? Oh, you are so deprived, Jeanne! I think this looks like a really fun sale! I have relies in Colorado Springs…a bunch of them! I soooooooooo wish I could go junkin’ with you! We would have a blast ! i totally am ready! our bigger one starts may 2nd and i’m counting the days! i’m trying to talk my hubby into going to brimfield this summer 🙂 enjoy the weekend! look forward to visiting in castle rock when you are there! i’m ready. i wish we had more around here. I just read your comment at Melaine’s… tease. That’s it. I’m moving back to CO.
love your blog, i’m a newbie here. my sister lives in centennial and we are visiting her family in july. i’m gonna make her drag me down to castle rock to that barn. sounds fun! Oh man, I am SOOOO jealous! Wonder what I will find in Northern Utah? Hopefully some wonderful thrift shops. 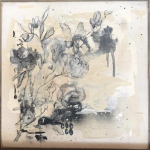 Speaking of Goodwill, a blogger pal, Kate at Salvage Dior, finds the BEST stuff at a Goodwill in the OC then displays it at a fabulous antique place called Country Roads. So Jeanne, do you have junkin mojo? Oh how I wish I did!! I went to Paris Flea Market three times last year! I’m so looking forward to it, too! And thanks for The Barn sale dates! Fun! Hello sweet Jeanne – you are going to have a blast! Wish I lived close, I’d love to share a cupcake! Can’t wait to see pictures. Great stuff you found there! I would do more junkin’ if I had more time!!! Be sure to take lots of pics, though I am sure you don’t need me to tell you that!!! Sounds like fun! I don’t what I’d do if my local flea markets weren’t open year round! There’s something about an open air market & being able to touch the relics that makes my heart sing! I love to go flea marketing and junking and dinking around! Know you’ll have so much fun! How fabulous! Can’t wait to see your goodies on the 1st!